Northern Ireland international defender Pat signed for Watford in 1980, becoming club captain and helping secure the club’s first promotion to the top flight. He played over 100 games for the club before retiring in 1984. He then went back to former club, Arsenal as Youth Team Coach and then as Assistant Manager to Arsene Wenger. Now retired, Pat spoke to Watford Legends in 2013. Hi Pat, thanks for talking to us. How did your move to Watford come about? I was at Arsenal but I wasn’t getting in first team but was turning out regularly for the reserves. I actually went for an interview for the manager’s job at Millwall. After the interview I decided that actually it wasn’t for me and I was at an age where I could carry on playing for a couple more years so when I got home I phoned the Millwall chairman to thank him for his time, but that I was going to continue playing. Following that phone call my wife told me I’d had a message from Bertie Mee to tell me Graham Taylor would be phoning me that evening for a chat. He did, and following that conversation we met up and the move materialised from there. It was a great place to be and the first thing I noticed was just how organised it was. You couldn’t help but notice just how friendly a place it was as well and everyone at the club, and I mean everyone in the offices as well, were very welcoming. You had the likes of Ann Swanson running the kids section and that made it have the feel of a great family club. It must have been handy as well not having to relocate from Cockfosters? You’re absolutely right. The training ground was in Stanmore at that time and it only took 25 minutes or so to get there so that was another thing that was a big plus point about signing. What was it like to be there during that great period at the club? It was a great time. I remember when Graham introduced me to the rest of the players and he introduced me as a captain which was a really pleasant thing to hear. I was told a tale once, though I can’t say for sure if it’s true, that the move initially came about after Sam Ellis had scouted me. Graham sent Sam to a QPR v Arsenal game to look at a particular player. When Sam got back, Graham asked him if he had found a player and his response was “No, I’ve found you a captain”. From my point of view it was great to be held in that esteem but I can absolutely assure you it was no jolly up to see out the last few years of my career. In fact I can tell you that it was positively the hardest four years of my career when I was at Watford. We were pushed as hard as we could be. Graham also had his way of playing as you know but despite what some people said, he stuck with it and showed belief in it and great things came of it. It was a great time to be at the club but the results came about from hard work. Yes you’re right, the Everton game in the top flight when I scored. Let me tell you now the goal was a complete fluke! I meant to cross it in but I totally mishit it. Neville Southall came for it and it went over him and looped in. I told the other players that I meant it but I never did and I’m not sure they believed me! The games against Spurs always stood out for me as well with my Arsenal history. I remember going there once when they had the likes of Glenn Hoddle and Ossie Ardiles in their team and we got off to a great start. Glenn turned to me and told me we would run out of steam. Les Taylor scored and we won 1-0 – and we didn’t run out of steam. Games against Arsenal were always going to stand out for me as well and are very memorable due to going back to where I started. Some people asked if I felt I had something to prove but I never felt that way. It was nice to go back but I certainly had nothing to prove. 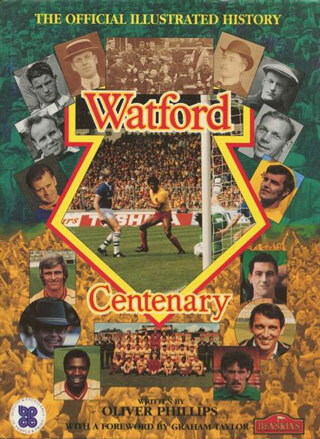 During that period with Watford we had some really terrific players but more than that we all had a great attitude. We all wanted to win and we worked so hard to achieve one goal that we were totally fixated with and that was to gain promotion to the first division. You mentioned Hoddle’s comments just now, did you endure much sneer from other players for our style of playing? Yes we probably did over that time. Graham was very big into his statistics as you know and he had a guy from the army who used to compile all his statistics for him. There was one particular stat that we were made aware of after we finished second to Liverpool in the league. Everyone used to rave about the style of Liverpool used to play, rightly so as it was good football, but after us they hit the second most amount of long balls during that season. So we were direct and they were playing the beautiful football, yet we only played a few more long balls than them. So would you say it was an enjoyable four years you spent at the club? Absolutely- in fact I would say it was a blinding four years. We were really well looked after by some great staff such as Wardy, Tom Walley and knowing Bertie very well was a big help as well. Graham was a very good manager to have and his door was always open to anyone. There was never any pressure on you so long as you were working hard and giving it your all and that created a great atmosphere to be working in. There weren’t any cliques as the squad was so united and we used to go off and do different things together such as playing cricket over at Sarratt, go to the pubs and push over the pennies and generally mingle with the fans. There was great camaraderie amongst everyone and that made it a good place to work and a strong winning mentality. It sounds like you had a good relationship with the fans whilst you were at the club. This year has been your first year out of football since retiring as assistant manager at Arsenal – what have you been doing with yourself? I’m still involved with football and I have been scouting on a part time basis for Arsenal. 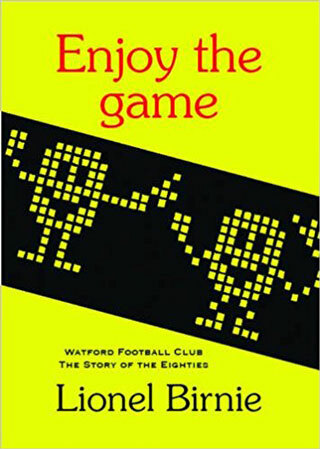 I made it down to Watford a couple of times last season when I was scouting someone, I saw the game at home to Blackpool when they lost and also another game that I can’t really remember. I was really hoping they would get promoted and was willing them on but it just wasn’t to be in the end. What did you make of the Watford team last year? I thought they played some great football and had some very good players at their disposal. They scored a lot of goals as well but the frustrating things was that they seemed to blow up when it mattered the most. I really wanted them to do it but when it came to the crunch time it seemed like it was too much. Hopefully next season will be a different story. It must be strange to have played in one era of football and then been involved in the modern game as well, has it been difficult to adjust? The training is hugely different. When Arsene Wenger came to England he seemed to transform everything including all aspects of training and also the player’s diets as well and that has really pushed the game forward. The training has become shorter but it is a lot more intense. It has certainly changed a lot over the years but the quality has grown with it. If you had the choice of playing football in the modern game or the era that you did play in, based just on the standard of football, which era would you prefer to play in? I was more than satisfied in the era I played in to be honest. I’m not so sure I’d have been as successful as I was if I was playing in the modern game. When you are playing you just hope that wherever you go you do a decent job and please the people around you at the club and also the fans as well. I reckon I did ok at that so I am happy with what I did and when I did it. Thanks for talking to us, Pat. Good luck for the future.